Bassett of Cool Springs features the best selection of Tables in Cool Springs, TN. We're able to show many more products in our online catalog than in our physical showroom, so please contact us for availability information. 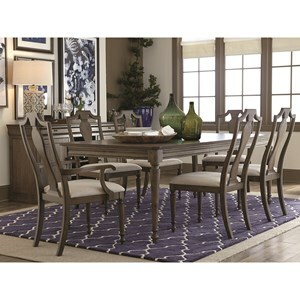 2779-2451 Side Chair 4 21" 25" 41"
2779-2450 Arm Chair 2 25" 25" 41"
4779-4268 Rectangle Dining Table 1 42" 68" 30"